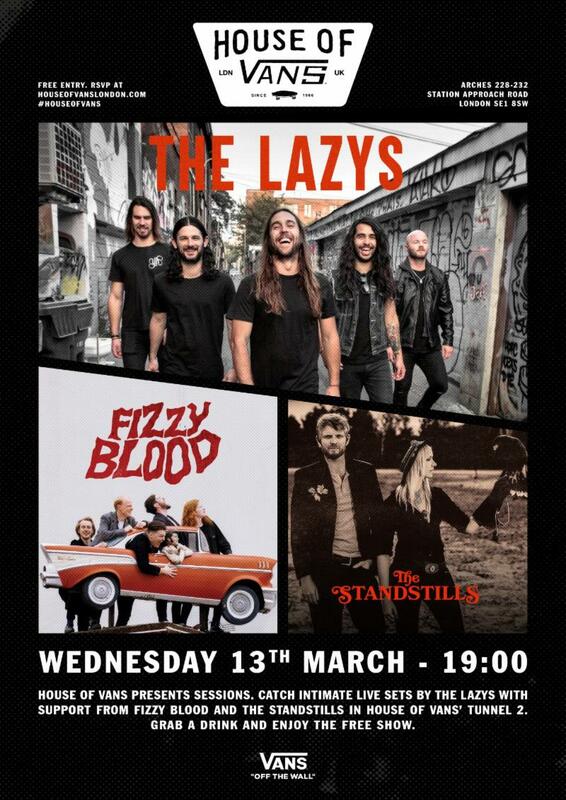 Canadian based Aussie rockers THE LAZYS have today announced a free London show in conjunction with House of Vans on Wednesday 13th March. As part of the House of Vans ‘Sessions’ series, THE LAZYS will perform on the Tunnel 2 stage at the London House of Vans venue, supported by Leeds quintet Fizzy Blood and Canadian rock duo The Standstills. Doors open at 7pm and ticket holders must be aged 18+. 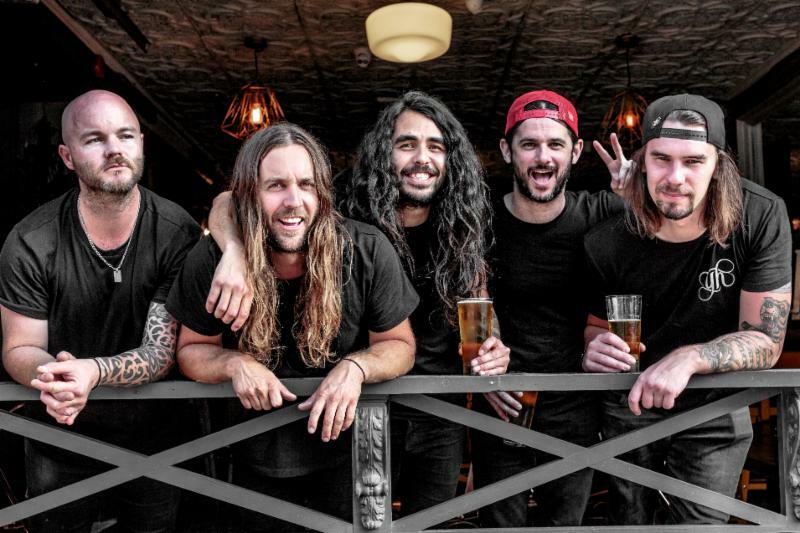 Since relocating to the opposite side of the world, things have gone from strength to strength for the THE LAZYS, who have been playing their asses off all over the globe to become one of the most talked about live acts in the rock scene. The band’s latest album ‘Tropical Hazards’, released last May, aptly captures the raw power and energy they ooze on stage and stamps it on a record. ‘Tropical Hazards’ is a high-octane, hell-raisin’, rock ‘n roll ride, produced by Ian D’Sa (Billy Talent) and Eric Ratz (Big Wreck, Danko Jones, Monster Truck). 10 belters that are unabashedly outrageous, packed with classic songs about wild nights, pretty girls, heartbreak, and resilience but are never too cliché. As part of a run of European shows, the band also perform at Glasgow’s G2 venue on March 11th and at the Star & Garter in Manchester on March 12th. The Lazys then return for festivals in the summer including Ramblin’ Man with further announcements to come.